On the third album from the St. Petersburg trio, Polyenso, Year of the Dog finds them stretching the boundaries of their already dynamic sound on this experimental EP. Polyenso are on the brink of something remarkable here on this release. If you can tune into the world of this band and lose yourself in the music, you’re in for a treat. 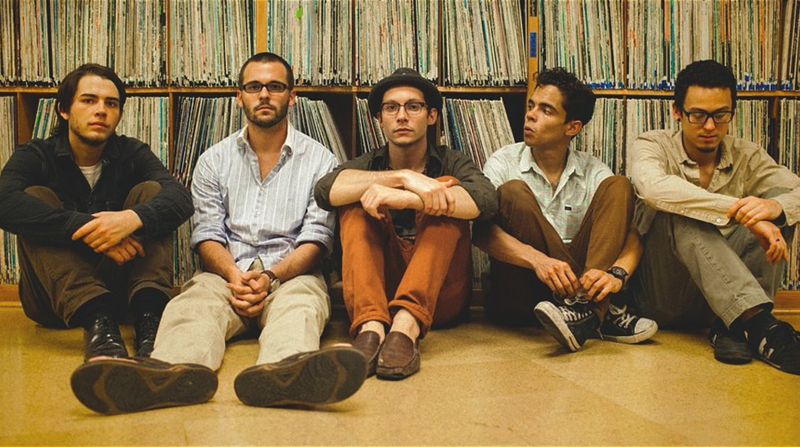 Polyenso are an indie rock band featuring Alex Schults, Brennan Taulbee, and Denny Agosto. At this year’s Bonnaroo I talked with the band about their latest release, Pure in Plastic. You can find the full interview below. A few weeks back, I was lucky enough to attend the Shaky Knees Festival in Atlanta, Georgia. It was a high-energy weekend filled with great bands (both up-and-coming and established). One of the best bands I saw was Polyenso, who played an early Saturday set on the Buford Highway stage. Afterward, I got to sit down for a bit and chat with the band about their new record The Pure In The Plastic, what they’re anticipating most from their upcoming tour with PVRIS, and how their songs change in a live setting. PVRIS have announced the openers for their upcoming headlining tour. Lydia and Cruisr are the main support, and then Beach Weather will be opening from May 11th through May 24th and Polyenso from May 25th through June 9th. Adam Grundy reviews the latest EP from Polyenso. Craig Ismaili interviews Polyenso at Shaky Knees.